The Tennessee Williams Theatre Company New Orleans (TWTC) is gearing up for the closing weekend of their latest play, Suddenly Last Summer. The Tennessee Williams Theatre Company of New Orleans is officially in residence at Loyola University New Orleans! 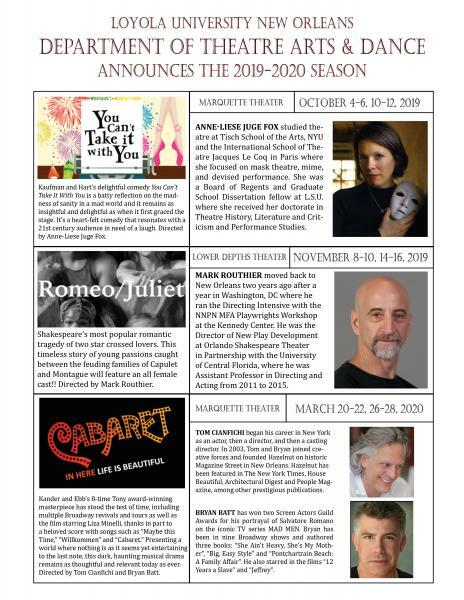 Loyola University New Orleans Department of Theatre Arts & Dance announces exciting new leadership as C.
‘It’s powerful medicine to know there are great people out there in the world,’ says the actor.